There are many skin tag removal methods available and many of them claim to be safe and effective at home. Skin tags are typically small, skin-colored, harmless growths that hang down like protruding flaps of skin from the body, by a stalk. They are commonly found in overweight and elderly people and on people suffering from diabetes. Even though the cause for these lesions still remains a mystery, doctors assure that they are benign and harmless. 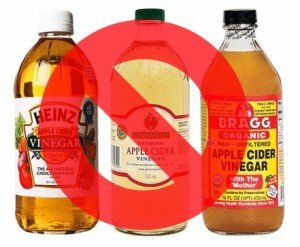 There are claims that common household products such as apple cider vinegar “work miracles” on skin tags and moles. Many of its supposed benefits are unproven, but some still think that adding a little of this sour liquid to your life may have some health benefits. Even celebrities everywhere are hopping on the bandwagon of washing with apple cider vinegar, promising everything from acne-free skin to effective dandruff relief. 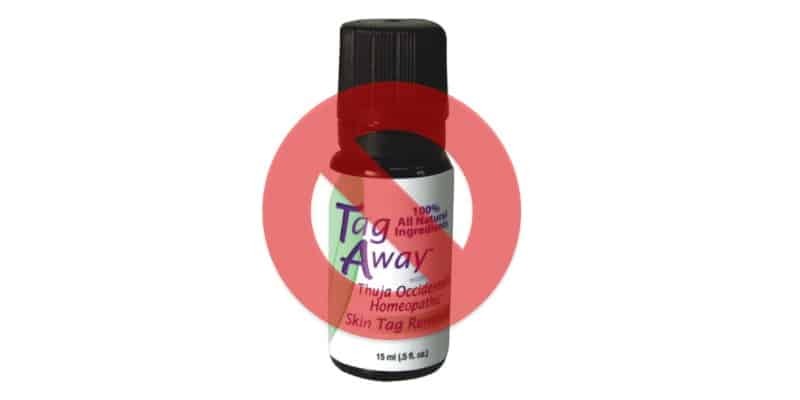 Unfortunately, others have taken it too far by claiming it removes skin tags safely and completely. The purported claim is that the acid in the vinegar destroys the tissue that causes the stalk without damaging the surrounding skin around the tag. While using this ingredient to wash your face may produce some positive benefits as a simple face toner because of its antibacterial properties and acids, the hope that it will completely and effectively remove a skin tag is unfounded. In fact, as with most natural beauty treatments, there are no scientific studies that definitively prove apple cider vinegar is good for the skin. On the other hand, what has been shown to safely and effectively remove skin tags is the well-proven cauterization method. Inkfree, MD uses a cauterization method known as electrodesiccation to remove the skin tags. An electrical current is applied to the stalk of the skin tag, destroying the blood supply. Over the course of a week, the tag will gradually fall off with some larger tags needing a few more treatments. For as little as $29, you will get amazing results and finally get rid of these unsightly folds of skin. Call us today at 832-478-5669 for a complimentary skin tag removal consultation and find out for yourself how easy it is to remove them!